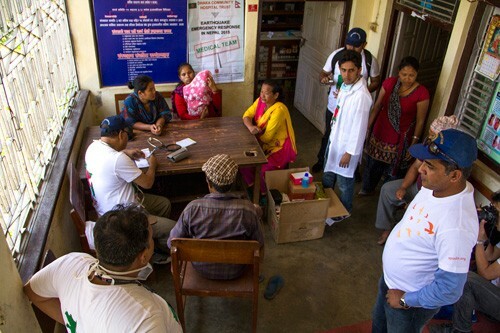 A-PAD member Dhaka Community Hospital Trust (DCH Trust) from Bangladesh deployed a 9-member medical team to Nepal, which has received severe devastation in the wake of the earthquake, and have started treating injured residents in the remote mountain villages where aid has yet to arrive. They have started a health center in?Mahadevsthan-8 in the district of Kavrepalanchok, located 30km southeast of Kathmandu. The villages here dot the mountains and the accessibility is poor and time consuming. DCH Trust borrowed the office of a local social welfare organization where they set up the health center. 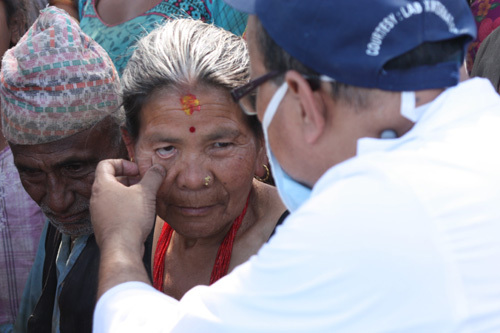 In consideration for the injured located in the remoter areas, they also conduct a mobile clinic, bringing their doctors and medicines to the people. One week has passed since the earthquake and many people are complaining of malnutrition due to food shortage and insomnia due to sleeping outdoors. Because of these reasons the need for medical care is high and DCH Trust’s team was able to provide lifesaving services to 250 people on March 3rd and 100 people on March 4th. In the evening of March 3rd they organized mobile hospital in Gari?Bisouna Deupur where they were able to treat 205 patients. 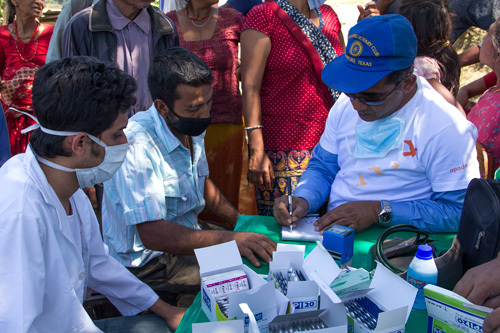 The medical team has brought 25 types and approximately 260 kilograms of medicine from Bangladesh, including pain relievers, antibiotics, water purification tablets, anti-diarrhea among others, and providing them to every village. 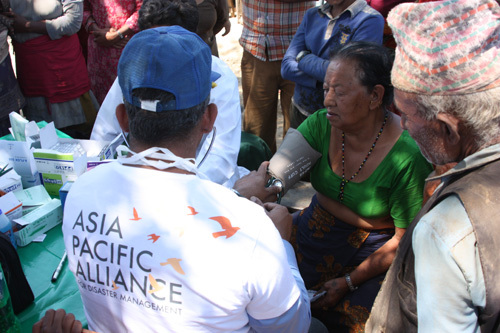 The team coordinated with the local community and village leaders who helped gather patients in one place. Nearly 100% of houses have been damaged here due to the?quake and there is a high number of injured patients in the villages. DCH Trust team members are providing psychosocial support to the?villagers to help them return to their normal lives as well as providing water purification tablets to minimize epidemic?diseases. On the 4th, the team visited Powa Village where a crowd of villagers waited for them. 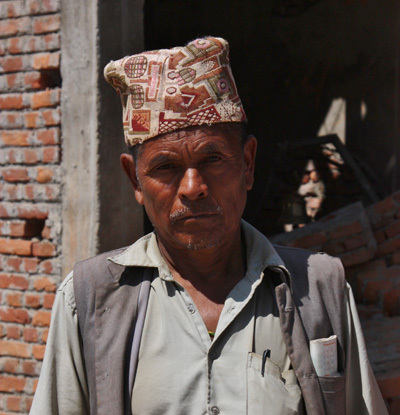 In this village of 200 people, almost 90% of houses have been completely or partially destroyed and until now aid from the government or other organizations have not arrived. 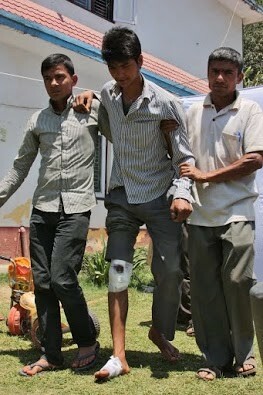 People are suffering from injuries and poor physical conditions. They need your continuous support. Make a donation.